Rowlestone Lass has been in fine heart of late and she can keep up the good work in the 32Red Handicap at Wolverhampton. The daughter of Hernando doubtless has ability but she has struck gold just twice in 20 starts as she is perhaps not totally straightforward. A run of six second places through the summer admirably demonstrates this point but trainer Richard Price finally seems to have been able to unlock her winning potential on the Tapeta this winter. 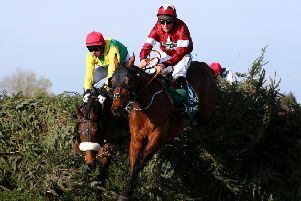 A six-length victory in October showed just what she is capable of but Rowlestone Lass again ducked out of a battle next time when held in third stepped up to two miles. She hung across the track the next time when dropped back a couple of furlongs but, luckily, she was already close to the rail and the drift did not cost her too much ground at all and she held on to win. Lining up on a mark of 73 most recently, she put her best foot forward to finish third under near top weight and a similar effort should see her feature in the finish here. Pretty Bubbles relishes the Fibresand surface at Southwell and should be on the premises again in the Ladbrokes Handicap. She counts two wins and two thirds in her four trips to the Nottinghamshire venue, most recently finishing a slightly unlucky third behind Patriotic in December. John Jenkins’ runner stays on a mark of 79 and is worth supporting. Deuce Again boasts a beautiful pedigree as a daughter of Dubai from the family of Group One-winning stayer San Sebastian among others. However, she could not find the winning post in two three-year-old starts last summer, finishing fifth and then third at Newbury in June and July. Those runs came over 10 furlongs and given her breeding, she looks the type to improve for a trip so this edge up to a mile and three furlongs could prove a shrewd move from John Gosden, even taking into account her lengthy break. Ayr: 12.30 Gilnockie, 1.00 Bollin Fiona, 1.35 Honourable Gent, 2.05 Gibbstown, 2.40 Carlos Fandango, 3.10 Up And Go, 3.45 Another Bill. Ffos Las: 12.40 West Wizard, 1.10 Magical Man, 1.45 L Frank Baum, 2.15 Ray Diamond, 2.50 Dark Spirit, 3.20 Pobbles Bay, 3.55 In On The Act. Southwell: 12.20 Red Tide, 12.50 Incomparable, 1.25 Monsieur Chevalier, 1.55 Pretty Bubbles, 2.30 Satellite Express, 3.00 Deuce Again, 3.35 Rock Of Ages. Wolverhampton: 4.15 Queen Aggie, 4.45 Coursing, 5.15 El Che, 5.45 ROWLESTONE LASS (NAP), 6.15 Supa Seeker, 6.45 Tsarglas. Double: Rowlestone Lass and West Wizard.